This is such a good idea! Thanks Staci! Their resources are really helpful. If you’re only ready to get one, I suggest starting with this one. But I have all of their Thesaurus line, and each is fabulous. The first is awesome. The second is even better! What an amazing idea. Thanks for sharing Staci. A friend of mine recently had a similar problem following me. She had to delete someone she was already following because she had exceeded her 50-blogs-allowed WP limit. I don’t know if that helps or applies to your situation in any manner, but I figured I’d let you know. Thanks for seeking me out! It’s an amazing community. Glad to be a small cog in the new thesaurus marketing machine. I have a copy of the original. Looks like I will be adding to my collection. I’ll be posting my review of the new one soon, Michele. I have both (and love both). You’ll really like the new one, too. Staci, thank you so much for helping us keep the secret of our next book and them help us reveal it in the most “show-don’t-tell” appropriate way! Becca and I both appreciate it. And on my goodness, you guys, these comments are making me feel all warm and gooey inside. I am so happy that you’ve found our books to be good writing partners so you can get more stories into the world. Knowing we’re helping others put books in the hands of readers is the best part of what we do! Warm and gooey was my goal, Angela. So glad to help you and Becca spread the word. Love their books! Congrats to Angela and Becca on their new release- and, thank you! I do, too, Jacquie. I’m glad to have had the opportunity to shine a spotlight on them. Wow! How cool! This is exciting indeed. I have a copy of the original Emotion Thesaurus plus another book they released and find both very helpful. I’m going to have to check out the new edition. YAY! Yay, indeed. You can tell they put a ton of time and effort into this. I’m happy to add it to my resources. 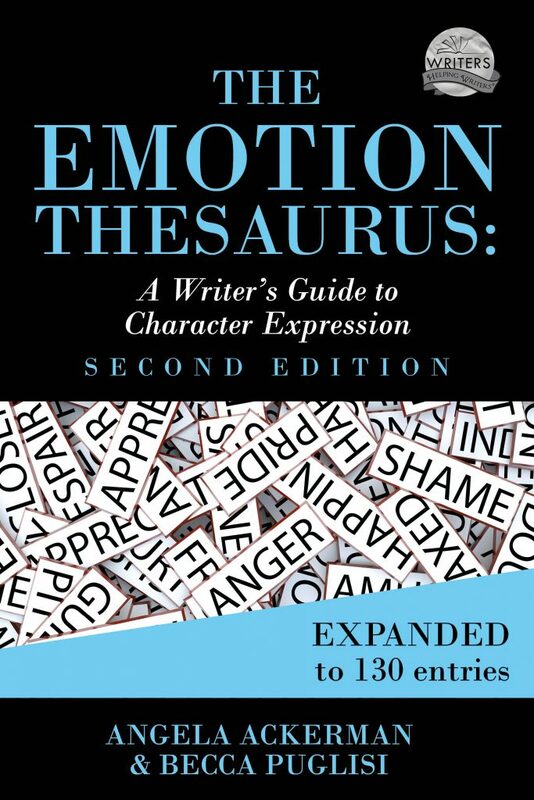 I have the Emotion Thesaurus, as well as another of their books – so incredibly helpful. I have most (if not all) of their Thesaurus line. They’re great. And this one knocks it out of the park! 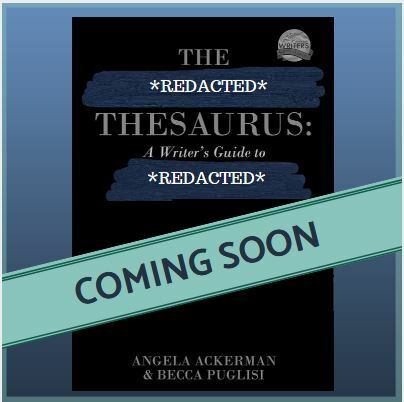 I love the Emotion Thesaurus (as well as the others Angela and Becca have written). They have, indeed, helped transform my writing. Happy to see this new edition. Their work is helpful, and they’re very generous. 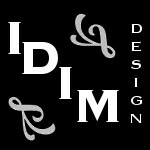 I really wish them success with this one. Raising my glass right along with you, Natalie. They deserve a toast! 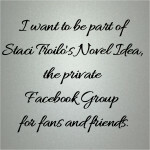 Check out this cover and title reveal from this post on Staci Troilo’s blog. Their entire library is amazing. So are their blog posts. And they have great resources on their site, too. You can’t go wrong there, Jess. Good luck with your woes! This sounds like a good book to own! The entire series is exceptional. I highly recommend all of them. But this is a great one to start with. Sounds great! I always wanted to buy this book but I kept postponing. Now seems just the right time! Now is the perfect time! You won’t regret it. It’s a treasured resource in my house.